In defiance to a ruling from the UN's International Court of Justice earlier this year ordering Japan to halt its annual whaling operations in the Southern Ocean, yesterday Japanese Prime Minister Shinzo Abe confirmed that the controversial whale hunt will indeed resume in 2015. For decades following an international moratorium on commercial whaling, Japan has skirted the ban by saying their continued killing of whales, of which hundreds are slaughtered each year, was necessary in order to study them. The ICJ rightfully disagreed, concluding that "the special permits granted by Japan for the killing, taking and treating of whales... are not for scientific research." The victory was short lived, however, as legal documents hinted that Japanese whalers planned to usurp the ruling by simply redressing the previous "research" program, referenced by the ICJ, as another -- putting them in technical compliance with the international court. At a press conference in Australia on Monday, Abe removed all doubt that the hunt will continue. "Japan is a country which values international law and order and the rule of law and therefore Japan will abide by the decision," he said. 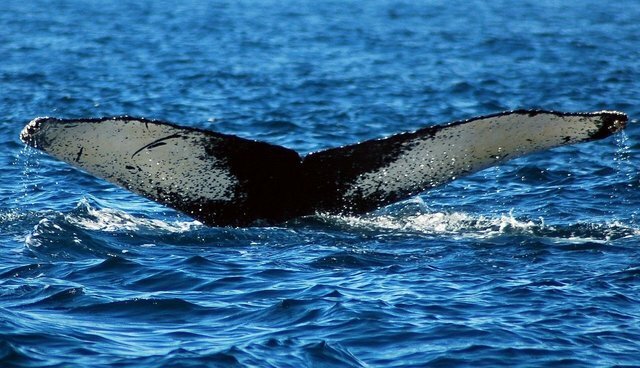 "Based on this Japan, looking at international law and scientific grounds, will engage in research of whaling in order to collect the indispensable scientific information in order to manage the whale resources." Despite the careful language couching the hunt as research, pro-whaling supporters in Japan's government haven't been shy about their plans to keep eating them. Just last April, hundreds of lawmakers, lobbyists, and even Japan's Forestry and Fisheries Minister Yoshimasa Hayashi gathered at a whale meat buffet to underscore that whaling would continue despite attempts from the international community to stop the brutal practice.